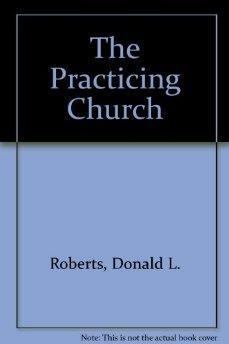 Home Roberts, Donald L. The Practicing Church (Cornerstone paperbacks). The Practicing Church (Cornerstone paperbacks). The book looks unread, like new. The previous owner wrote his name on the inside of the first page. All orders are shipped next business day & are 100% satisfaction guaranteed. If you have any questions please contact us at CuyahogaValleyBookCompany@gmail.com Thank you! All orders are securely packaged & shipped via USPS Media Mail, Priority, or International Mail.All orders are shipped the same or next business day. Thank You & Enjoy!